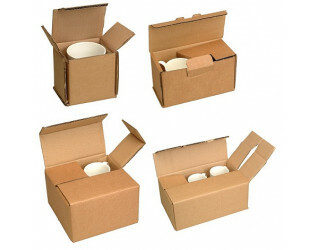 Versatile Mug boxes for storage or transit. Double walled with fold over tongues to divide all beakers into separate compartments. Our experience is that no extra tissue or protective packaging is required. By dividing the mugs inside the possibility of chipping is minimised.